Stampin' at Dawn: Pennant Punch Cards and Great News! Loved this card when I saw it--so I cased it and decided to make to--it's pretty straight forward....and easy! Thanks to Kimberly Van Diepen for the great card idea! I've been a bit busy over the past few days welcoming my new granddaughter to this world! 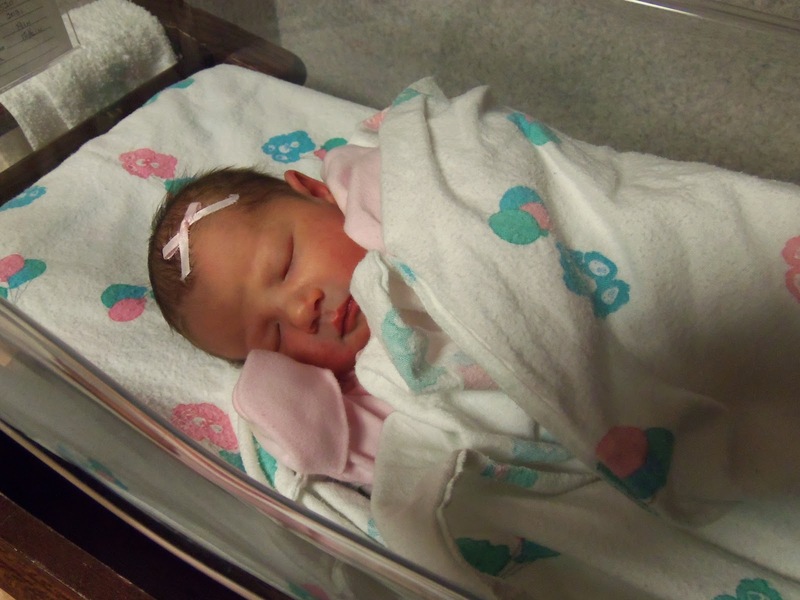 Mya Jean--born on Jan. 23, 2013!